What better time of the year than football season to have one of the most popular appetizers ever. Typically these babies are fried and then mixed with a spicy hot sauce. Yum….so good! I am traveling to Chicago next week to prepare lunch for some ACH executives (such a great job) and I really wanted to showcase our wonderful Spice Island Spices with some pretty healthy wings. 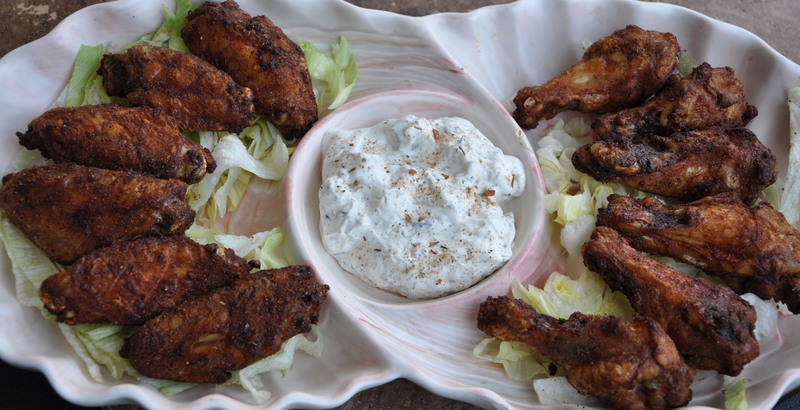 With a little help from Alton Brown and Spice Island, I “inventoried” the following recipe….. Hope you like it as much as my husband Bob has over the last two days…..These wings are very very moist, juicy and flavorful! 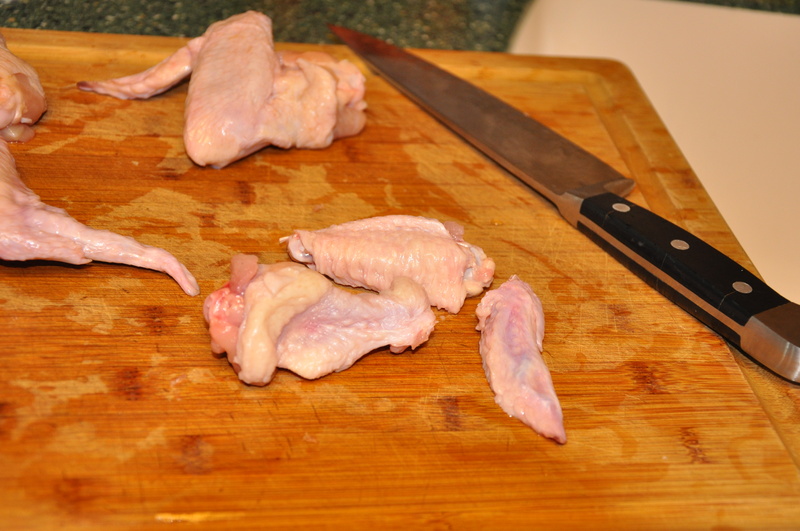 Remove the wings from package and using a very good/sharp knife cut the wings at the joints, in threes…. Meanwhile bring 1-inch of water to a boil in a steamer pot. Place the wings in the basket, drop into the pot and steam 8-10 minutes. Remove wings from pot and pat dry with a paper towel. Place wings on a rack and refrigerate 60 minutes. 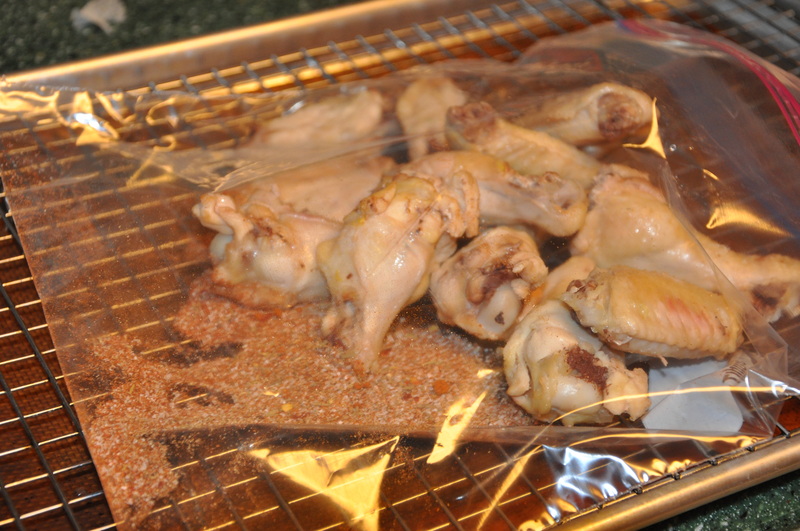 Place all spices in a zip lock bag, add wings and toss until well coated. Place wings on wire rack (spray with pan spray for easy clean up) and place in middle of a preheated 425 degree oven for 20 minutes. Turn wings over and continue to bake an additional 20 minutes. Place wings on a serving plate, if desired serve with blue cheese dressing and a few additional sprinkles of jamaican jerk spice. Place a 6-quart saucepan with a steam basket and 1-inch of water in the bottom over high heat, cover and bring to a boil. Cut wings in 3 places, at the join, and discard tips. 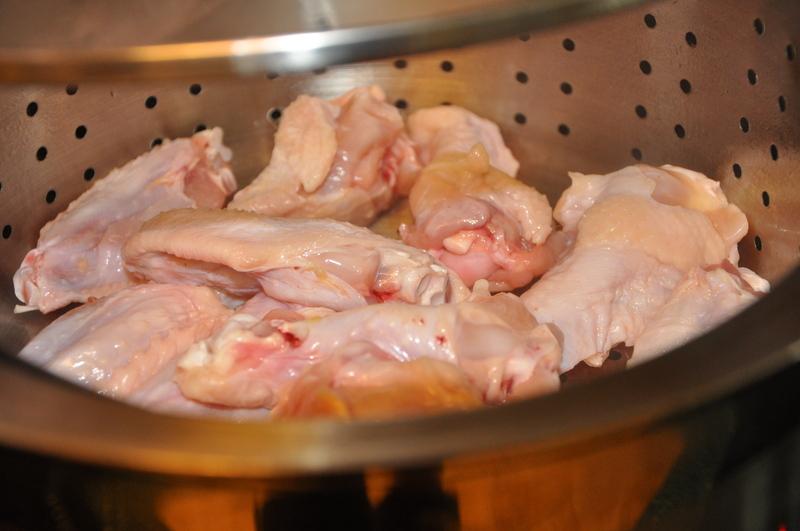 Place the wings in the steam basket, cover, reduce the heat to medium and steam for 8-10 minutes. Remove the wings and pat dry with paper towels. 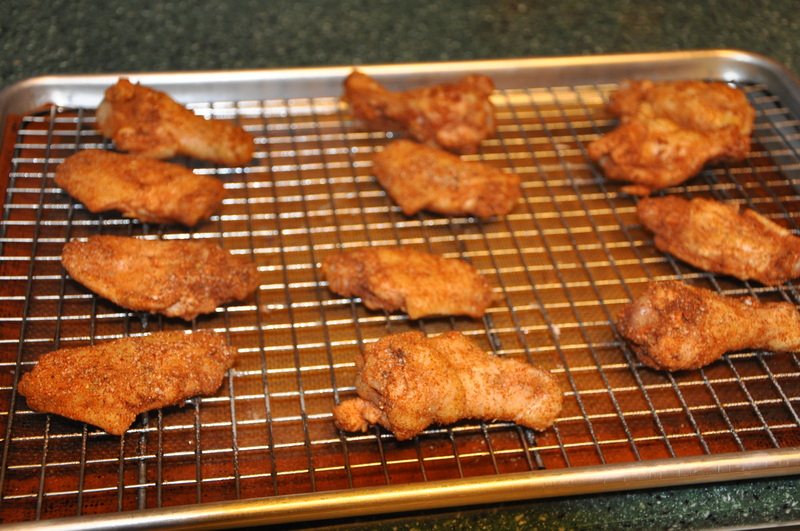 Place wings on a rack set on a baking sheet and refrigerate 60 minutes. Preheat oven to 425 degrees F. Combine all spices in a zip lock bag. 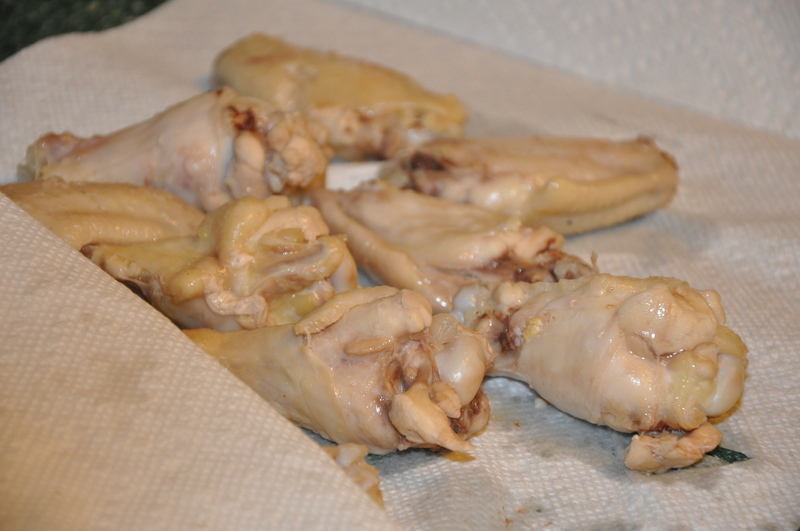 Remove wings from refrigerator, place in bag and toss until well coated. Place seasoned wings back on wire rack (spray with cooking spray for easy clean up) place in middle of oven, cook 20 minutes. Turn wings over and continue to bake an additional 20 minutes. Remove wings to serving plate. Serve with your favorite blue cheese dressing topped with additional jerk spice. Enjoy!